Dr. Bauer has been Chairman of the SICK AG Executive Board since October 1, 2006. He is also responsible for the Technology Division. He came to the company in 1994 as a division manager in the field of automation technology research and development before assuming overall responsibility for research and development in 1998. He was appointed to the Executive Board on January 1, 2000. Born in Munich in 1960, Dr. Bauer studied electrical engineering with core modules on electrophysics/optics at the Technical University of Munich from 1979 to 1985. He received his doctorate in the field of semiconductor-based integrated optics in 1990. Reinhard Bösl has been a member of the SICK AG Executive Board since July 1, 2007. He is responsible for the Systems & Industries Division, which includes Factory Automation, Logistics Automation, and Process Automation. Born in the East Bavarian district of Parkstein in 1958, Reinhard Bösl studied computer science in Munich. 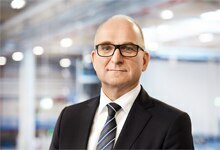 He subsequently held a variety of positions at Witron Logistik + Informatik GmbH in Parkstein before becoming the company’s Managing Director in 1998. 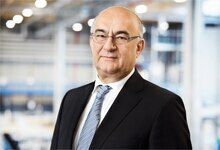 From 2004, he held various managerial positions at Krones AG in Neutraubling, Germany, which included a role as Managing Director of the subsidiary Syskron GmbH. 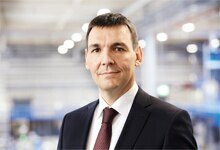 Dr. Mats Gökstorp was appointed to the Executive Board on May 1, 2013, where he is responsible for Sales & Service. He joined the company in 2003 with the acquisition of SICK IVP in Sweden and moved to Germany in 2007, becoming Division Manager and member of the Management Board. For the last few years, he has been in charge of global sales processes at SICK. Mats Gökstorp was born in Stockholm, Sweden, in 1965. After studying Computer Science and Engineering both in Sweden and the USA, he received his doctorate in 1995. He went into business with a small start-up company in 1993, where he worked in several positions in areas ranging from development to sales. By 2001, he had progressed to the role of General Manager, a position he held until 2007. Dr. Martin Krämer has been a member of the Executive Board since July 1, 2012 and is responsible for Human Resources, Procurement, Compliance, and the Legal Counsel Office. He has been Head of the General Legal Counsel Office since he first joined the company in 1999. Born in Rottweil in 1960, Dr. Krämer completed his law studies in Tübingen and Freiburg before specializing in company and labor law. He received his doctorate in 1999. 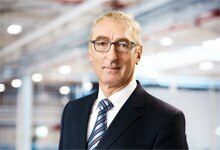 Initially working as a lawyer, he went to the Lidl & Schwarz Group in 1995 as Manager of the legal department. He later completed a master’s degree in “International Commercial Law” at Davis University, USA between 2004 and 2009. Markus Vatter has been a member of the SICK AG Executive Board since July 1, 2006, where he is responsible for Controlling, Finance & IT. Marcus Vatter was born in Wiesbaden in 1966. He obtained his degree at the Technical University of Darmstadt before starting his career as industrial engineer at Robert Bosch GmbH, Stuttgart. His next position was at Müller Weingarten GmbH, where he worked before accepting the role of Managing Director of KaVo Dental GmbH in Biberach in 2001. Managing Director of KaVo Dental GmbH in Biberach in 2001.